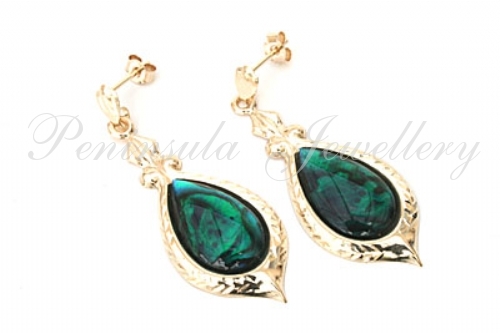 Pretty Green Abalone (Paua shell) earrings in a teardrop shaped setting with herringbone patterns on each side. Standard fittings in 9ct gold. Dimensions: 30mm drop x 12mm wide. Made in England. Supplied in a luxury gift box - Great gift! !